V-Ray 3.6 for Revit Perpetual Workstation option is the latest version and compatible with Revit 2018. V-Ray for Revit is built for architects who want to create high quality renders without the learning curve. Includes access to over 500 materials. Download/online licensing option. Flexible purchasing options available. Bundle with 5 or 10 render node licenses and save. V-Ray for Revit is the ultimate solution for architects. 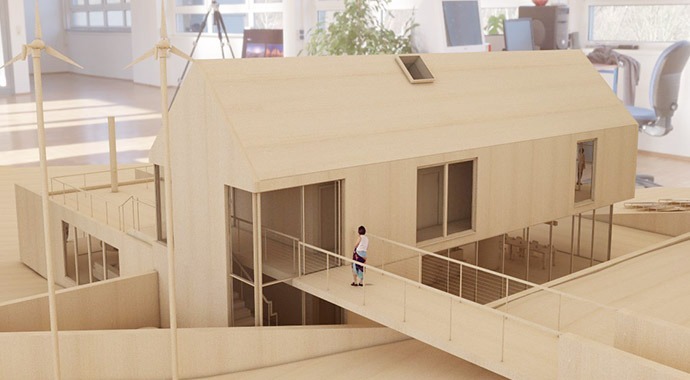 Architects now have the ability to create their projects and render professional-quality, high-resolution images directly from the models that they create in Revit. V-Ray for Revit also helps Architects make critical decisions and produce better quality content. Workstation + 5 Render Node Licenses: Includes 1 Basic Workstation License and 5 additional Render Nodes. Render on up to 6 of your machines. Workstation + 10 Render Node Licenses: Includes 1 Basic Workstation License and 10 additional Render Nodes. Render on up to 11 on your machines. Teacher License: Includes same features as basic Workstation License, but offered at a discounted price for educators. Free Evaluation: Gives the user 1 GUI and 1 V-Ray Render Nodes for 30 days completely free of charge. V-Ray 3.6 for Revit is now available. This update to V-Ray, improves the program and adds new features. The Adaptive Lights algorithm has been updated to render up to seven times faster on some scenes. Additionally, V-Ray Swarm, the elastic distributed rendering platform, has add several improvements including installation customization, support for Linux adn MacOS operating systems, and support for a greater support for a variety of network configurations. 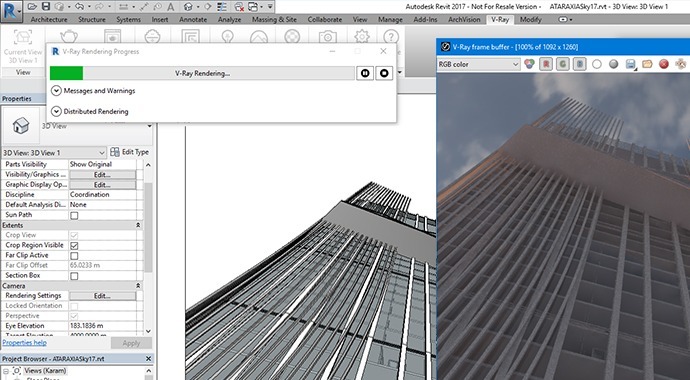 V-Ray for Revit in now available for Autodesk Revit 2018. This is a free update for V-Ray 3.x for Revit customers. New Material Library — Ships with over 500 high quality V-Ray materials. Additionally, the new material library is compatible for use with V-Ray for 3DS Max, V-Ray for Rhino, and V-Ray for SketchUp. Aerial Perspective in RT — Preview atmospheric haze to distant objects and buildings while rendering in RT. Material IDs — Mask individual objects for easier compositing and editing in Photoshop. V-Ray lets you render professional, high resolution images with realistic lights, materials, and cameras. 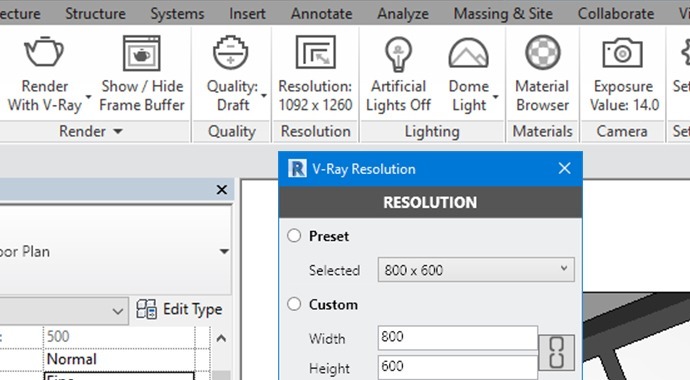 Automatically convert Revit materials to V-Ray’s physically-correct format. Fine-tune material properties using the V-Ray Material Editor. Simulate photographic cameras from Revit’s native camera views. V-Ray is fast. Render quickly and make design decisions faster. Rendering your projects using multiple machines gets your final product to you faster. V-Ray for Revit is made for designers. It’s fast to set up, with no complicated settings and no training required. 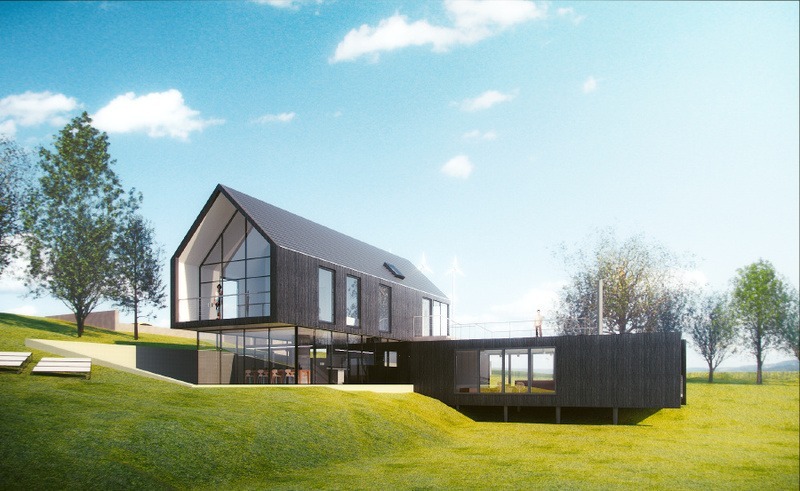 Quickly balance quality and speed with V-Ray for Revit’s render presets. Work in draft mode for early iterations and switch to high quality for presentations. V-Ray for Revit handles your biggest building models. V-Ray for Revit handles large, complex BIM models so you don't have to place limits your projects. V-Ray for Revit has accurate options for IES and HDR image-based lighting, as well as support for Revit Sun and Sky. Please make sure that your system fulfills these requirements before installing V-Ray. Note that V-Ray is only supported for 64 bit operating systems and 64 bit versions of Revit. Single- or Multi-Core Intel® Pentium®, Xeon®, or i-Series processor or AMD® equivalent with SSE2 technology. Highest affordable CPU speed rating recommended. The following table shows the versions of Autodesk Revit on which V-Ray is supported. This is awesome. Super easy to use and I love it. Why can't other programs be this great? Love the ease of use. Thanks for letting me try it out.